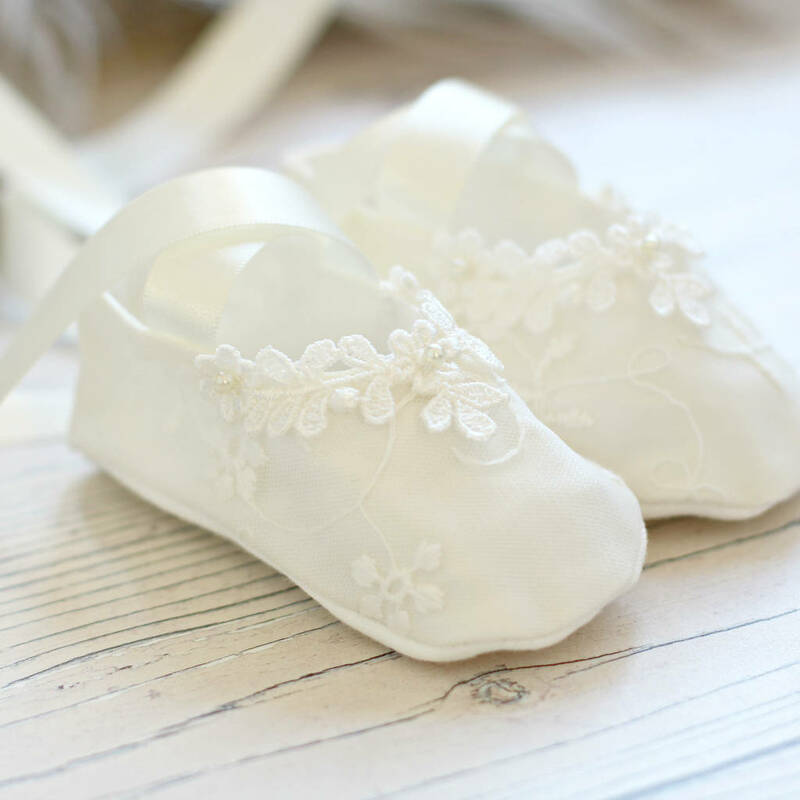 Pretty little Christening shoes with hand beaded applique. 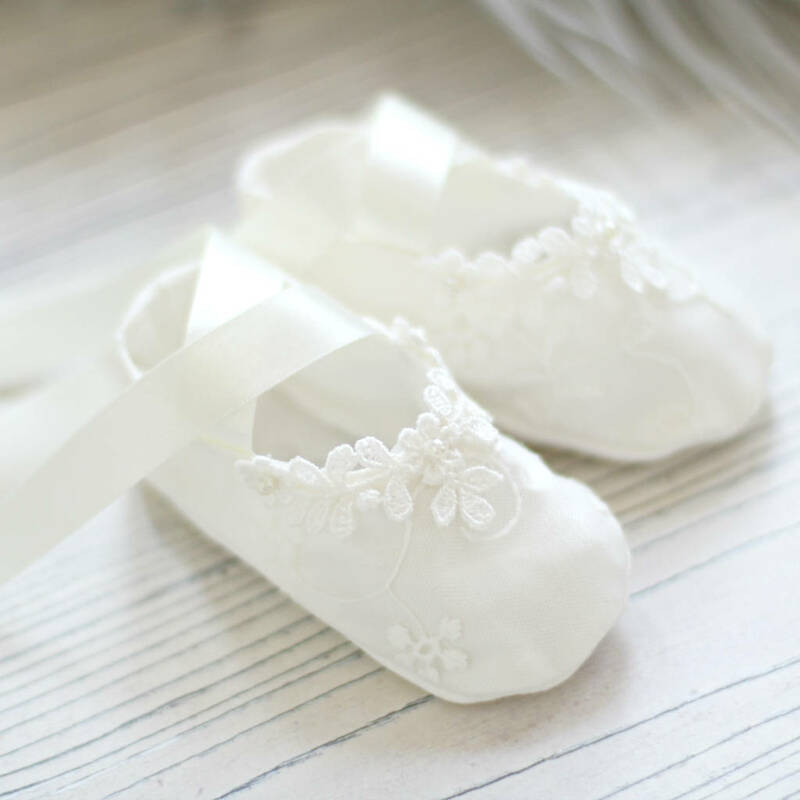 These little booties are perfect for a Christening, special occasion or as new baby gift. 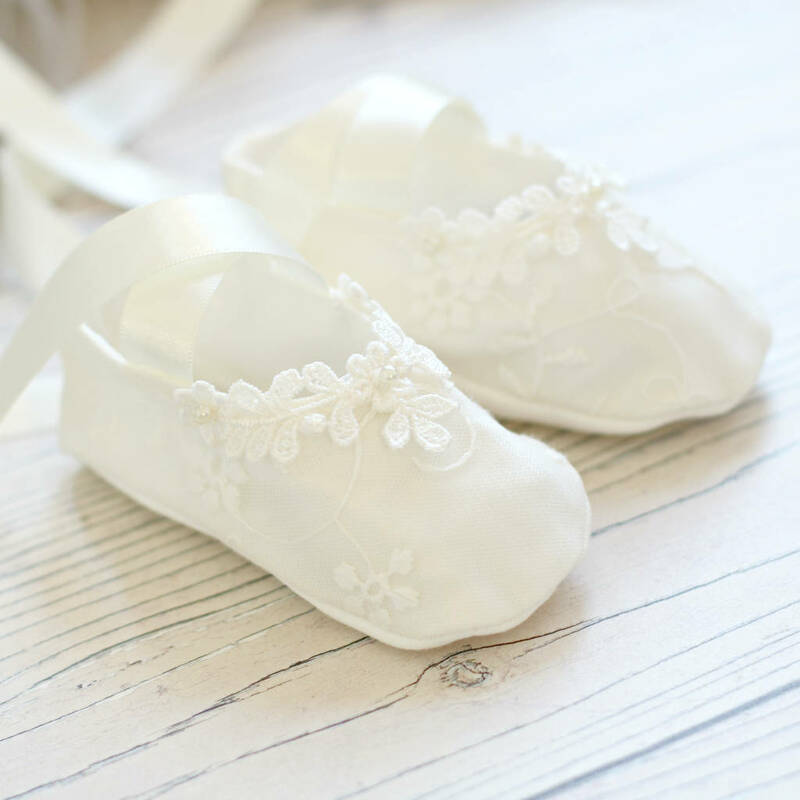 Made from 100% silk overlaid with gorgeous lace, hand trimmed with a gorgeous flower applique and glass pearls. 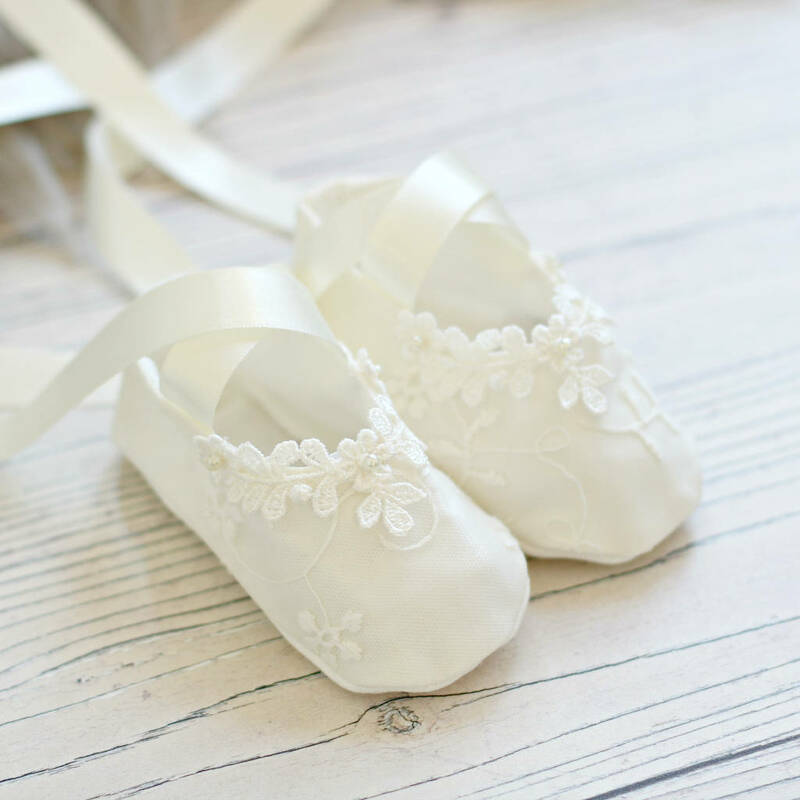 Made to match our Ava Christening gown or dress perfectly. 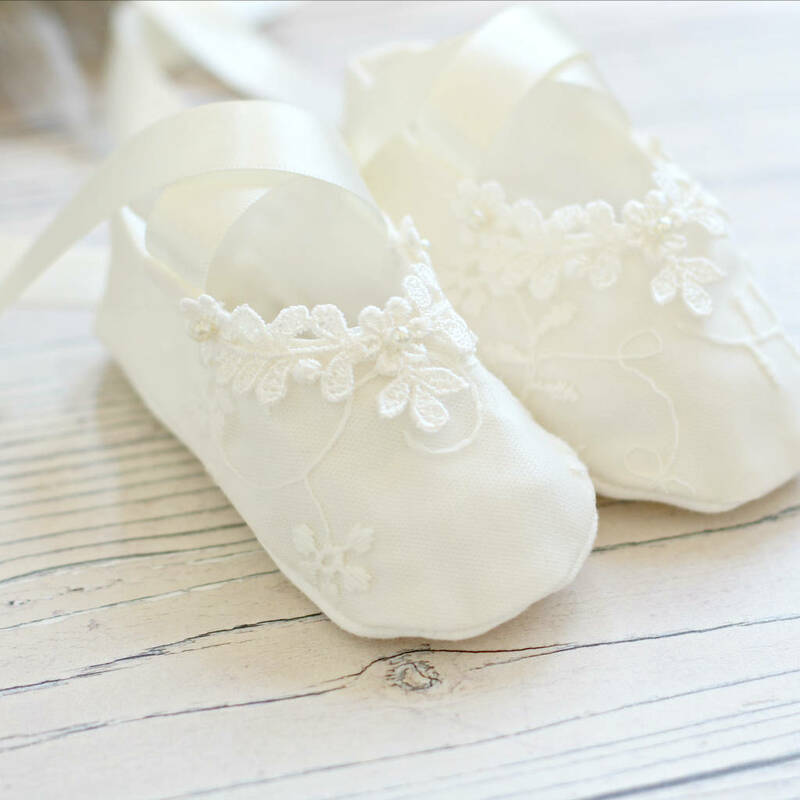 The soles are made from super soft cotton jersey for a perfect fit and they tie around the ankle just like little ballet shoes. 100% silk overlaid with lace and fully lined. 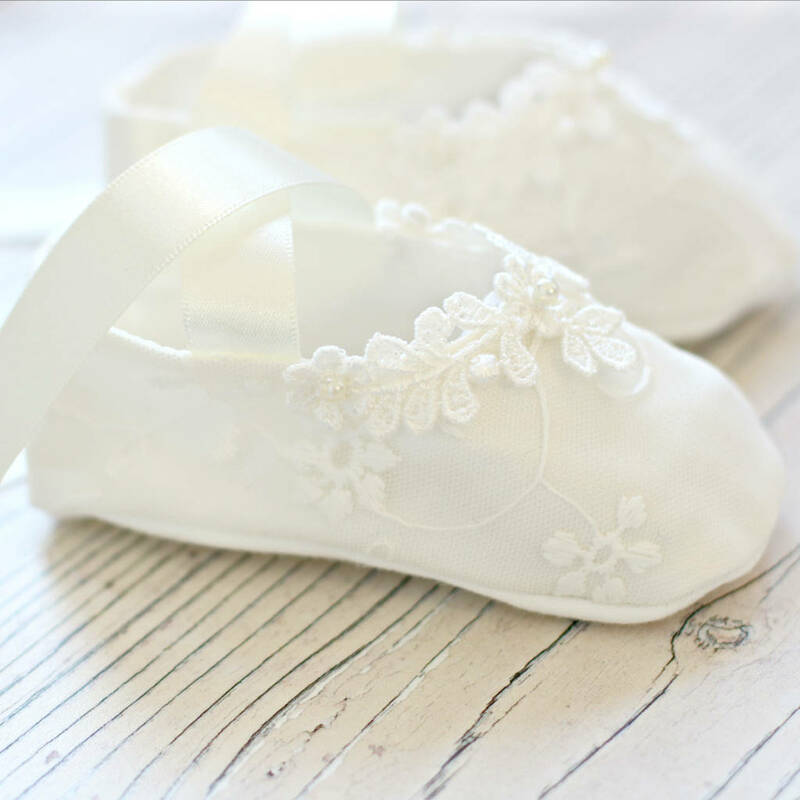 The soles are made from 100% cotton interlock to fit softly on your baby's delicate little feet.